Stress management is possible when you use hypnosis near Newcastle upon Tyne, Sunderland and Gateshead. If you are feeling stressed out and need some stress relief, Quays Clinic of Hypnotherapy can help you. Stress can be positive or negative which can impact on a person’s life in good and bad ways. Stress can be something as little as worrying about what you are going to wear on a night out, or extreme stress where you are constantly worrying about money or actually losing your home. Relationship stress is also another type of stress which can have a catastrophic effect on a person’s health. Constantly worrying about loved ones and family members can cause a psychological break down. Stress can occur at any time and in any place. The main places where people suffer from the symptoms of stress are in the workplace and at home or in a relationship with someone. Its very important to acknowledge workplace stress and family stress when they happen so that you can get help. You don’t want to lose your job, wife, husband or partner. With early intervention using hypnotherapy for stress management your health and relationships with others will dramatically improve. Another very important thing to remember is to have a happy balance between work and your personal life. We go to work so that we can afford to spend time with the people we love. Difficulty making decisions and becoming forgetful. Its very important to find a way of controlling stress. If a person puts off getting help it can seriously damage their health and quality of life. We must understand what is causing the symptoms of stress in the first place and put an effective stress management plan into place to treat the stress symptoms. Where the initial sensitizing event or events that cause the stress and anxiety are not known, it would be very wise to go and see a professional hypnotherapist who utilizes hypnotherapy for stress management. Stress can cause serious health problems in men and women. The symptoms can cause sleeping problems, ulcers, and nervous disorders. Learn how to use self-hypnosis. A professional hypnotherapist like Ian Smith at Quays Clinic will be able to help you learn hypnotherapy for stress management. Ian Smith will be able to show you some of the modern ways of using hypnosis techniques to eliminate stress. Once you are proficient at using the techniques you will understand the simple fact that although feelings of stress are normal in people’s lives they can be eliminated. Stress can affect a person’s body in many different ways. Some of the signs of stress won’t necessarily be noticeable, whereas many others are very noticeable by your friends, family and work colleagues. Sometimes it hard to accept the fact that the symptoms are causing you to become very irritable and angry with the people that you care about. If you find that you’re suffering from stress and anxiety or panic attacks a professional hypnotherapist will show you how to use hypnotherapy for stress management. You don’t have to suffer from feelings of doom or gloom anymore. It is possible with hypnotherapy training to control stress when you come across it. Stress management has to start by identifying the triggers that cause the horrible physical feelings. Some of these triggers can actually be recorded within the subconscious mind from childhood experiences which cause problems as an adult. Hypnotherapy for stress management can be used to discover the triggers and eliminate them. Stress management and anxiety reduction in the workplace is very important. If employees are feeling stressed because of family problems or financial worries they will be less productive when it comes to their job. It’s important for managers to implement ways to reduce stress at work so that they can help with personal problems on an individual level. Where possible managers can organize some team building exercises which are fun that are away from the workplace. Stress management techniques are superb for all people of all ages. Children and adults can all benefit from learning hypnotherapy for stress management. Adults in the workplace that need help can practice the techniques learnt from a hypnotherapist during their lunch break. It doesn’t take a long period of time to practice. Stress symptoms can be eliminated in under fifteen minutes. 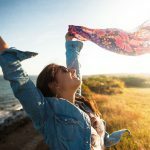 There are of course other alternative ways to reduce stress that are available, such as deep breathing techniques, (EFT) emotional freedom technique, (TFT) thought field therapy and meditation. A good way to combat stress is to use a combination of all these techniques with hypnotherapy for stress management. By far the best way to deal with stress it to use hypnotherapy for stress management. 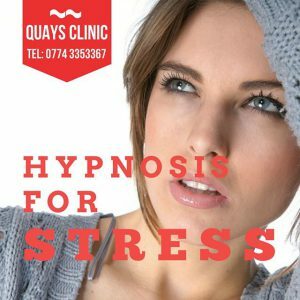 If you are looking to find hypnotherapy in Newcastle upon Tyne, Gateshead and Sunderland for help to eliminate your stress symptoms, talk to hypnotist Ian Smith today. Clinical hypnotherapist Ian Smith is an Internationally respected therapist who has helped many of his clients to beat stress. Contact Ian today on 0774 3353367. You can also read some of the amazing hypnotherapy reviews which have been posted on Google Maps by previous very happy clients.